Ranch W/Amazing Open Floor Plan & Main Floor Master! The Warm and Welcoming Design Provides Tons Of Light and An Open & Spacious Feeling Throughout. The Vaulted Ceilings, Spacious Kitchen That Opens To The Dining Area & Living Room Add That Special Architectural Touch That Says Wow To Everyone Who Steps In The Door. The Open Floor Plan is Perfect for Entertaining! 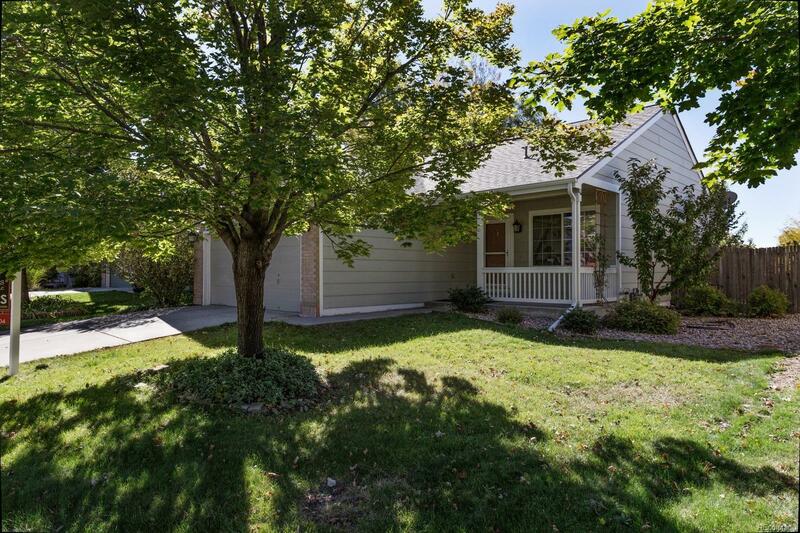 Walk Out Onto The Trex Deck To Enjoy Your Private Fenced Backyard Directly From Kitchen. Main Floor Boasts Of A Master Suite With Vaulted Ceilings & 4 Piece Bath, Large Open Kitchen, Living Room, Dining Area, Family Room, Full Bath, & An Attached 2 Car Garage. The Fully Finished Basement Includes A Second Master Or Great Room, Bathroom, Laundry, & Storage. The Oversized Two Car Attached Garage Provides Lots of Storage. All Within Cherry Creek Schools! Move In and Enjoy. Over 1,710 Total Sq. Ft. in This Three Bed, Three Bath Home, With a Main Floor Master!